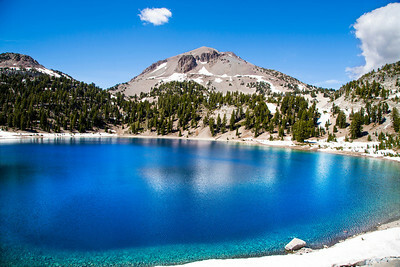 Various views of the beauty that characterizes Lassen Volcanic National Park. 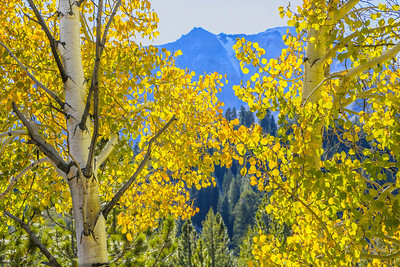 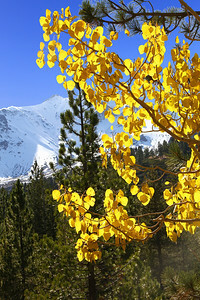 Lassen Peak, rising to an elevation of 10,457 feet above sea level, is framed by a shimmering grove of quaking aspen trees on an October afternoon. 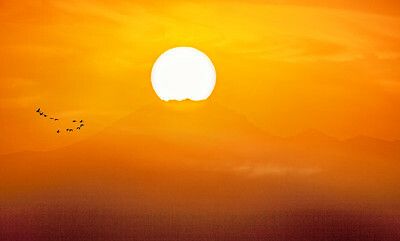 The sun rises dramatically out of the volcanic crater of Lassen Peak (10,457 feet above sea level) as geese fly south for the winter. 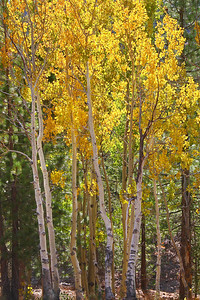 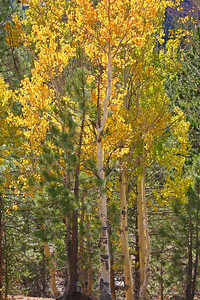 A grove of quaking aspen trees show their fall colors at Lassen Volcanic National Park. 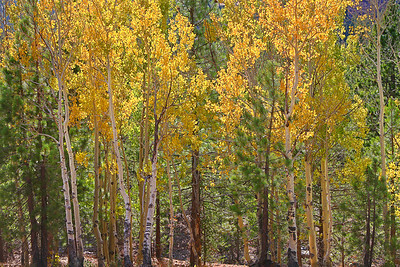 A grove of quaking aspen trees show their fall colors at Lassen Volcanic National Park. 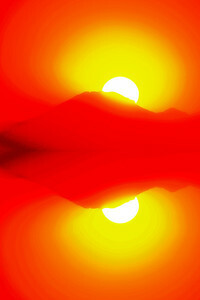 This image has a diffused border which adds an illusion of depth when printed on gallery-wrapped canvas. 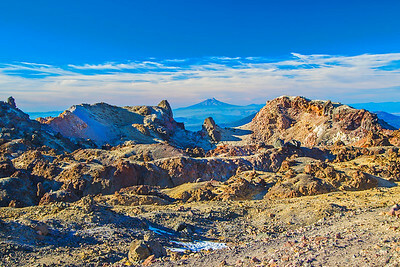 The rays of a setting October sun highlight the crater on Lassen Peak near the 10,457 foot summit and a secondary crater below at 8,929 feet. 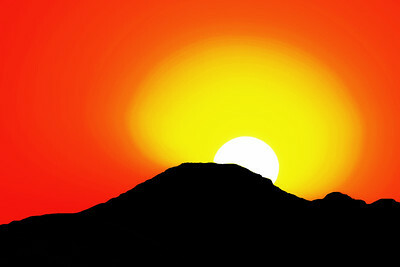 In the distance, Mt. 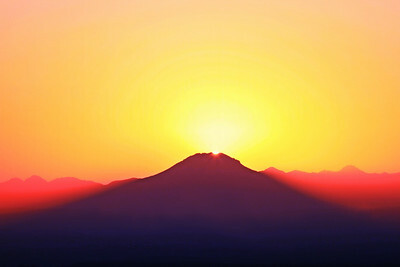 Shasta (14,180 feet) stands tall some 60 miles to the north. 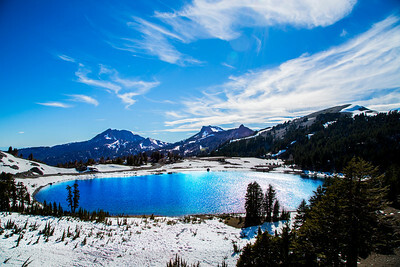 The two dormant volcanic peaks form the southern terminus of the Cascade Mountain Range, which extends 700 miles north into British Columbia, Canada. 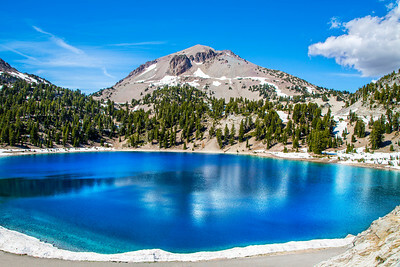 Lassen Peak last erupted dramatically on May 22, 1915 sending volcanic ash 200 miles east into Nevada. 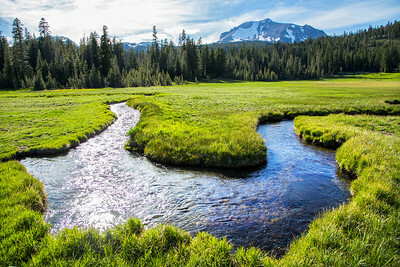 A winding trail climbs some 1,700 feet in 2 ½ miles from a parking lot along the park road to Lassen Peak. 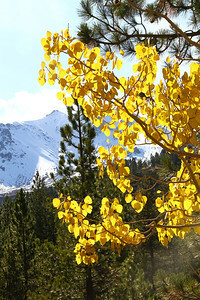 This vista rewards the climber. 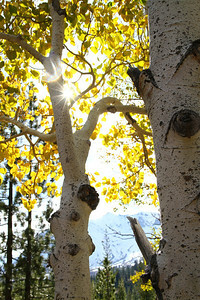 The rays of a setting October sun highlight the crater on Lassen Peak near the 10,457 foot summit. 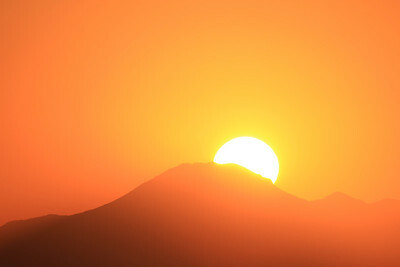 In the distance, Mt. 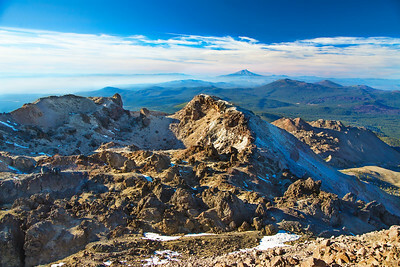 Shasta (14,180 feet) rises some 60 miles to the north. 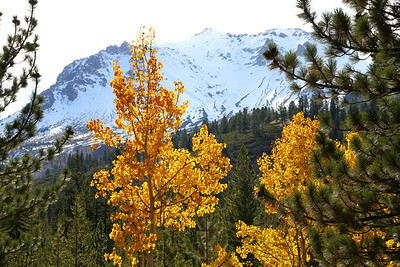 The two dormant volcanic peaks form the southern terminus of the Cascade Mountain Range, which extends 700 miles north into British Columbia, Canada. 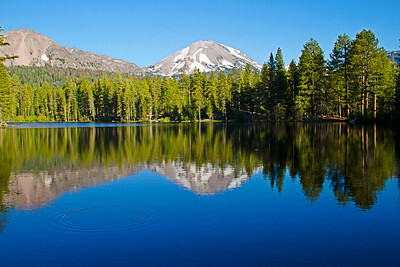 Lassen Peak last erupted dramatically at this spot on May 22, 1915 sending volcanic ash 200 miles east into Nevada. 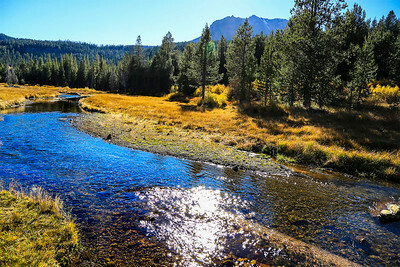 A winding trail climbs some 1,700 feet in 2 ½ miles from a parking lot along the park road to Lassen Peak and this vista. 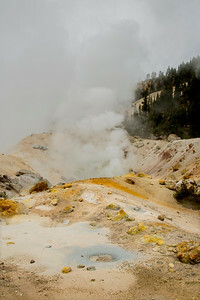 A mineral pool and steam vent at Bumpass Hell. 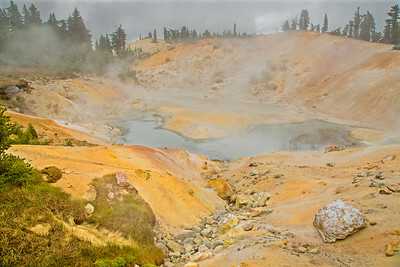 An artist's palette of colorful mineral deposits above a bubbling pool at Bumpass Hell. 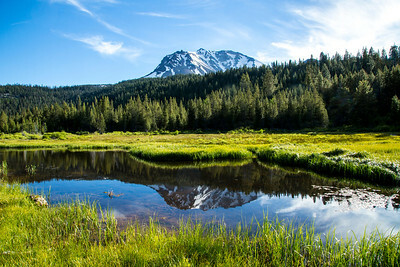 A panoramic shot of Hat Lake with Lassen Peak in the background on a spring afternoon at Lassen Volcanic National Park. 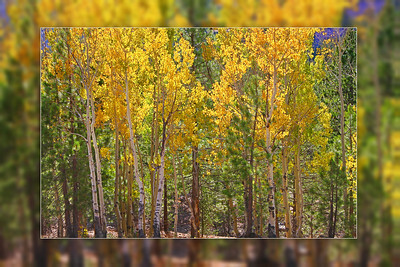 This image measures approximately 20" x 48" and can be cropped slightly to achieve a different format. 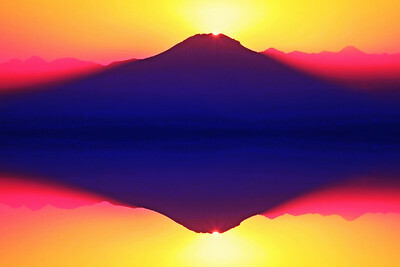 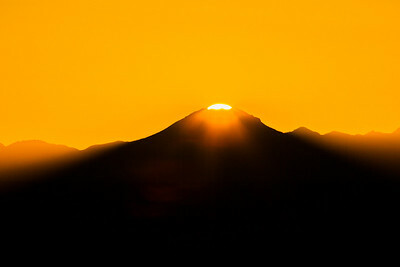 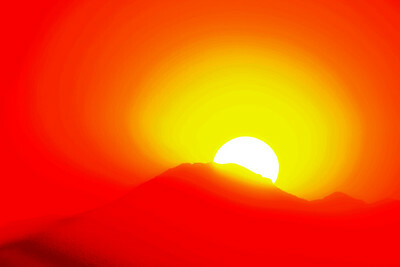 This version of the sunrise over Mt Lassen is a panoramic image meant to be printed 16" x 48" on canvas or paper. 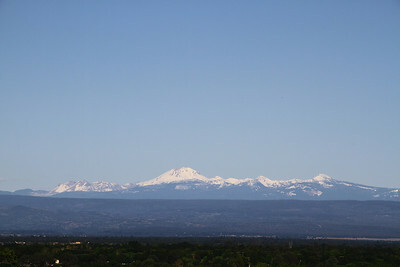 Lassen Peak and the remnants of volcanic Mount Tehama (aka Brokeoff Mountain) to the right on a spring day from Redding, CA. 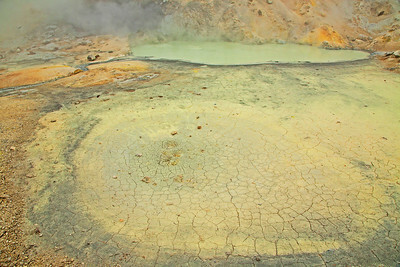 A dried up mineral pool in from of a bubbling one. 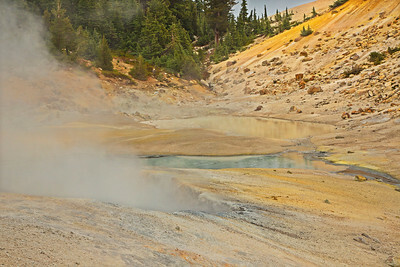 Remnants of volcanic activity at Bumpass Hell. 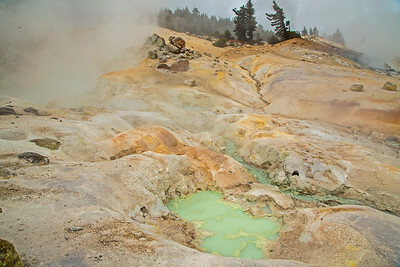 Steam vents and hot mineral pools at Bumpass Hell. 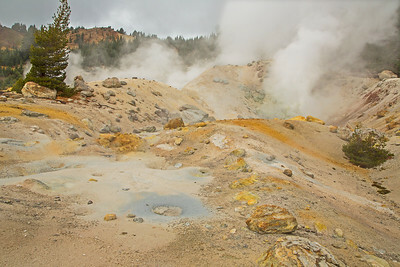 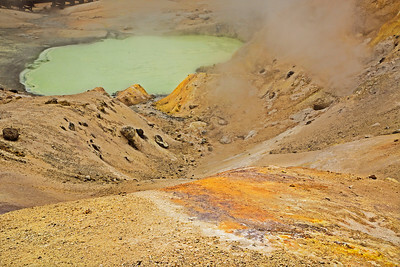 A colorful tapestry of volcanic remnants and steam vents at Bumpass Hell. 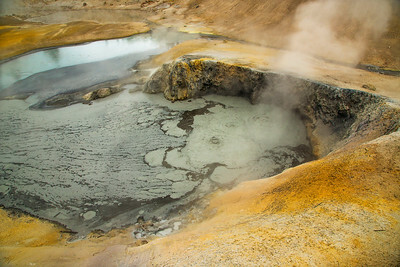 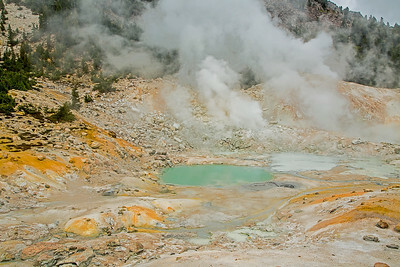 A dried up fumarole fronts an active steam vent at Bumpass Hell. 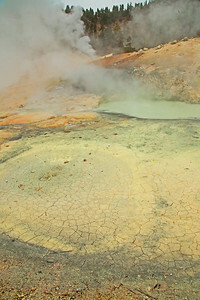 Boiling ponds and steam vents at Bumpass Hell. 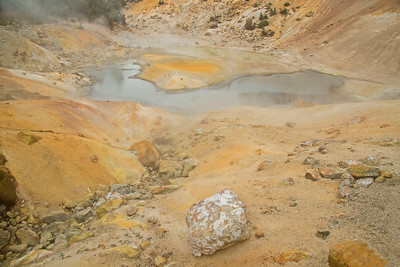 Hot water boils in this pool at Bumpass Hell. 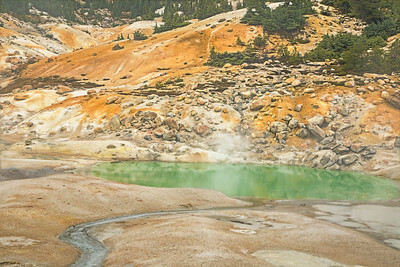 A tourquoise colored boiling lake is highlight of Bumpass Hell. 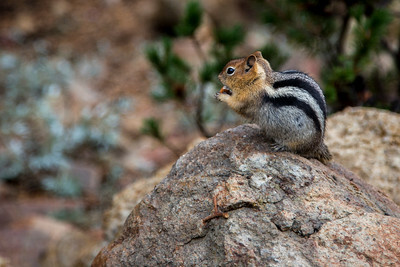 Golden mantled ground squirrel snacks along the trail. 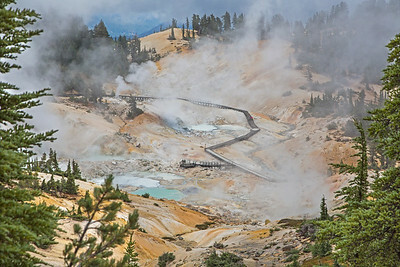 An overview of Bumpass Hell from the trail to this steaming attraction. 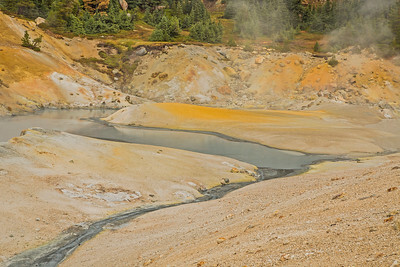 Overflow from a boiling pond at Bumpass Hell feeds a small mineral-laden stream. 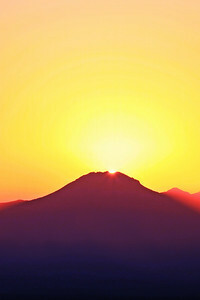 Sunrise over Lassen Peak from Redding October 1, 2014.